After the tremendous success of last year's festival, Music at Sharon will be back again this summer! For the second year Stephen Cera has been appointed as artistic director to create a musical feast inspired by the Temple's history and designed to showcase its extraordinary acoustics. The festival offers high quality summer concerts not found anywhere else in Ontario, thus providing a unique musical experience to the residents of Toronto and the GTA. Beloved Quebec soprano Suzie LeBlanc will open the festival with "Songs of Earth and Heaven" on Sunday, June 1, at 3pm. She was recently described by The Australian as "a singer of the highest quality, she dazzled and entranced with her impeccable vocal control and a sound of wonderful beautyThis was music-making to live for." The concert programme includes songs by Mozart, Poulenc, Faure, Debussy, Messiaen, and Weill, all accompanied on the piano by Robert Kortgaard. instrumentation as the Quartet. Beethoven's youthful Clarinet Trio in B-flat, Opus 11, will complete the programme on Sunday, June 8, at 3pm. Works by Mozart, Ibert, Poulenc, Eliot Weisgarber, and Gershwin will be explored by the award winning pianist Sara Davis Buechner on Sunday, June 15, at 3pm. The Washington Post enthused: "Buechner's performance had a beauty that might have taken even Mozart's breath away." Buechner, a consummate performer, is always charming and engaging on stage. A very special concert, titled "Beginning to See the Light", with a start time of 6pm on Sunday, June 22, will close the festival. Celebrating their 10th Anniversary, True North Brass initially burst on to the scene in 1997, and has since solidified its reputation as one of the world's finest brass ensembles. Proudly Canadian in focus and expression with an international outlook, they will perform a delightful mix of classical, traditional, Canadian and jazz music including the historic Tunes of the Sharon Band. 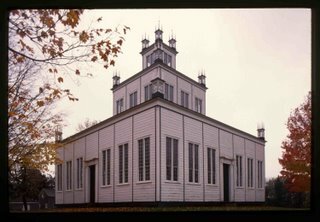 The concert, marking the Summer Solstice, will take advantage of the unique spatial and architectural characteristics of the Sharon Temple by positioning the musicians on a balcony high above the performance space. Stephen Cera is best known for his role as vice president, concert music programming, with Toronto's Livent Inc. where he developed the distinguished concert season at the George Weston Recital Hall from 1991 - 2000. His connection to Sharon dates back to the late-80s when, as a CBC Radio music producer, he recorded for broadcast a series of performances in the Temple, including the Orford Quartet and renowned Italian pianist Aldo Ciccolini. 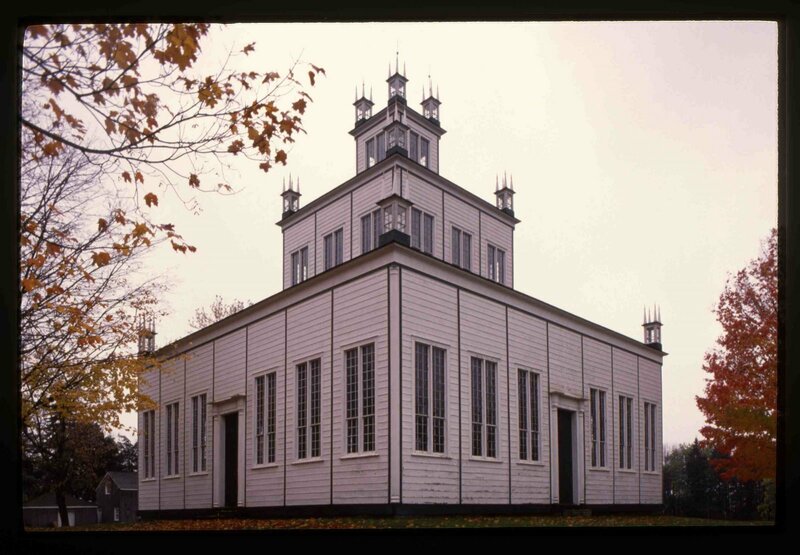 A national historic site, the Sharon Temple of the Children of Peace was built from 1825 - 1831 by a group of former Quakers who called themselves the Children of Peace. The Temple was designed to represent their vision of a society based on the values of peace, equality, and social justice. The annual summer concert series was founded to celebrate the Temple's 150th anniversary and lasted initially from 1981 to 1990. Audiences will once again have the opportunity to experience the musical delights of this intimate 230-seat venue that topped the Toronto Star's 2006 list of essential Canadian architecture. Artists and programmes are subject to change. FLIP Publicity & Promotions Inc.